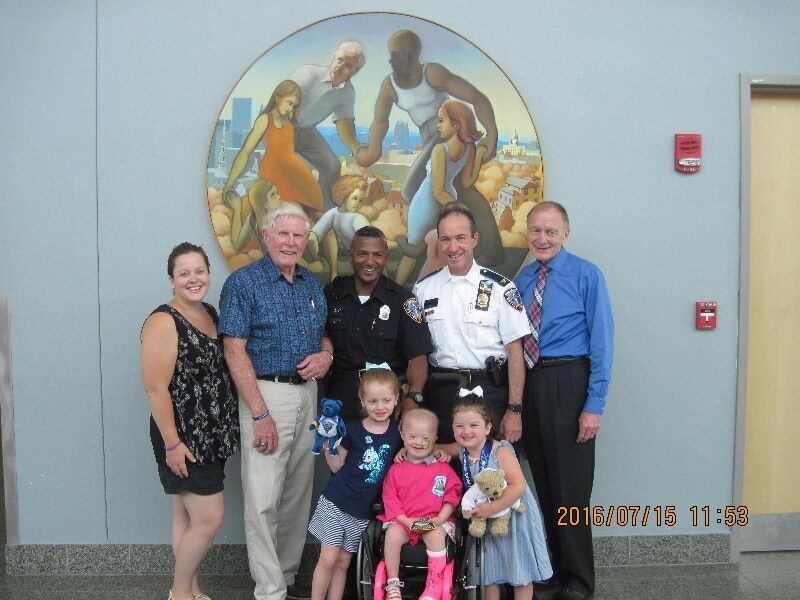 On July 15, 2016, Cops For Kids With Cancer went to the Providence Police Department and gave a $5,000.00 to the family of Celia Furtado, a 5 year old girl who has (ALL) Leukemia. In photo left to right Mother Katie, Bob Faherty, retired chairman, CFKWC Officer John Benros, Col. Hugh Clements and Lieut Det. Bill Coulter, MSP, CFKWC.